Finding the right cell plan for you and your family can be a challenge. While many plans are simpler than ever before, the difference between carriers is still vast. Here are the plans that deserve a closer look. Before choosing a plan, however, you need to figure out what your family needs. How many lines do you need? 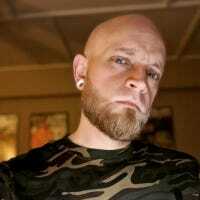 Is streaming king so you need as much data as possible? Do you prefer one video service over another? Prefer to keep costs as low as possible since you don’t use as much data? These are all questions that you’ll need to think about before jumping into a wireless plan. But I can tell you this much: Unlimited data plans rule all now. Basically all carriers are focused on offering some form of unlimited plan now, which doesn’t leave a lot for users who don’t use much data. Fortunately, you can still get a low-cost unlimited plan that should fit the bill. Literally. If you use a lot of data—especially an inconsistent (but still high) amount—then an unlimited plan is going to be best for you and yours. The thing is “unlimited” doesn’t really mean “without limits” when it comes to mobile plans. They may include a (mostly) unrestricted amount of data, but every plan out there puts limits in other areas, be that speed or other features. When it comes down to it, there are quite a few good options out there! The best of the bunch, however, are Cricket, T-Mobile, and Sprint (at least for now). Here’s the quick comparison of each. 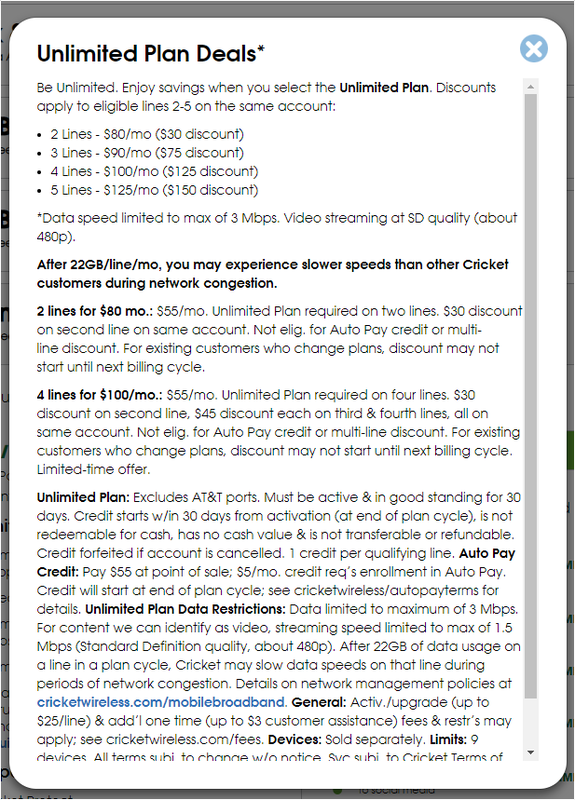 Cricket offers two unlimited plans (one of which is less limited than the other): Unlimited and Unlimited Max. The former offers unlimited SD video, music, web surfing, games, downloads, and the like, but it’s limited to 3 Mbps, as opposed to Cricket’s normal 8 Mbps speed cap. The Unlimited plan starts at $55 for the first line, but each one becomes cheaper after that—$80 for two lines, $90 for three, $100 for four, and $125 for five. That’s with taxes and fees included. Huge bargain. 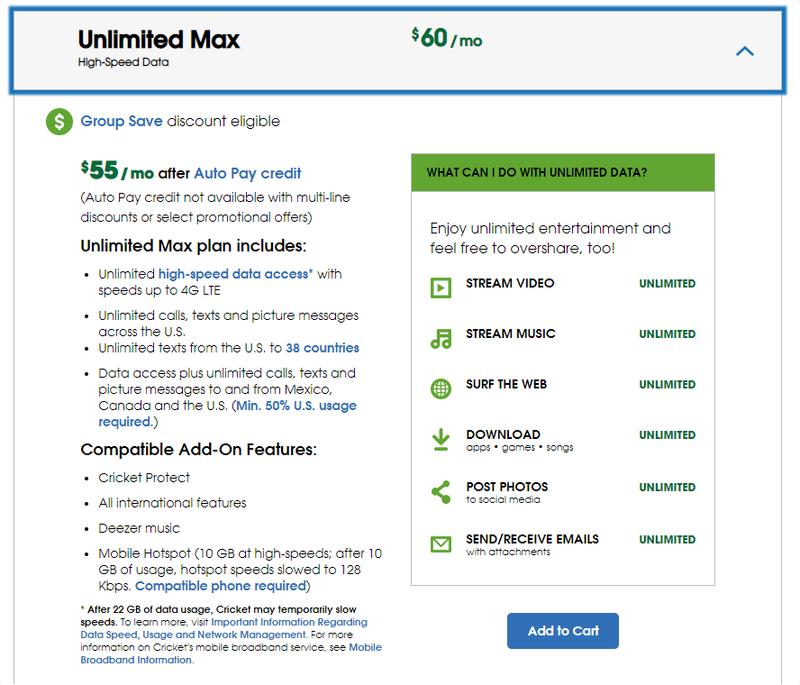 The Unlimited Max plan offers all the same things as the Unlimited plan, but you’re allowed unlimited HD video and it operates at the full 8 Mbps. It starts at $60 per line, with discounts for each additional: $110 for two, $150 for three, $190 for four, and $230 for five. 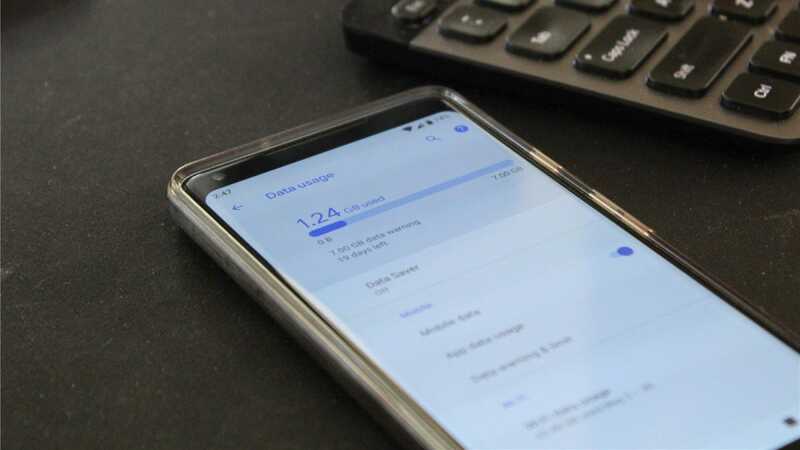 If you can handle SD video and 3Mbps streams, the Unlimited plan is a much better deal—otherwise, you may be better off exploring the other options on this list. The biggest downside to Cricket is that you have to either bring your own phone or buy it outright. Because Cricket is technically a prepaid carrier, it doesn’t offer any sort of financing option for its hardware, meaning you’re left on your own when it comes to buying phones. That makes it a dealbreaker to a lot of people, unfortunately. 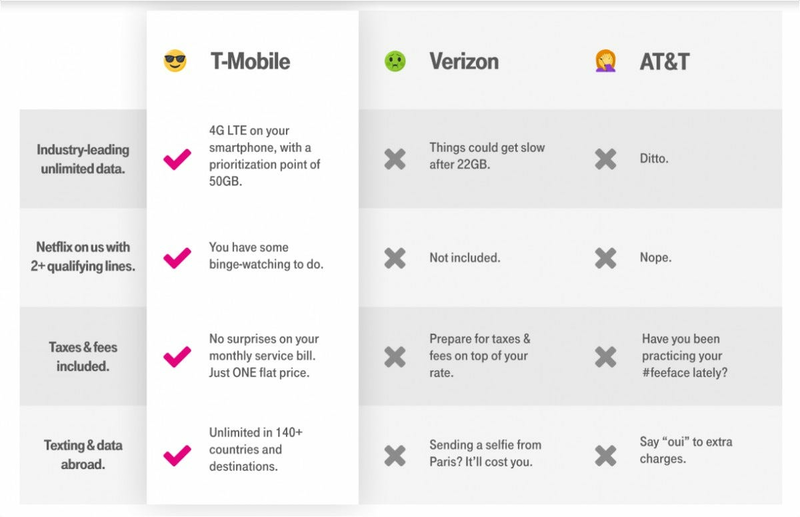 T-Mobile has been making waves in the mobile scene for a while now, offering things that other carriers seem to have a hard time matching. Its unlimited One plan is no different—it’s a beast of a plan for an excellent price. It’s a flat $40 per line with taxes included, making it $160 a month for four lines. Included in that you get unlimited data with prioritization of 50GB (other carriers stop prioritizing after ~22GB) and Netflix access. Video streams are limited to SD, but you can opt to add unlimited HD streaming and 10GB of mobile hotspot for $10 per month per line. 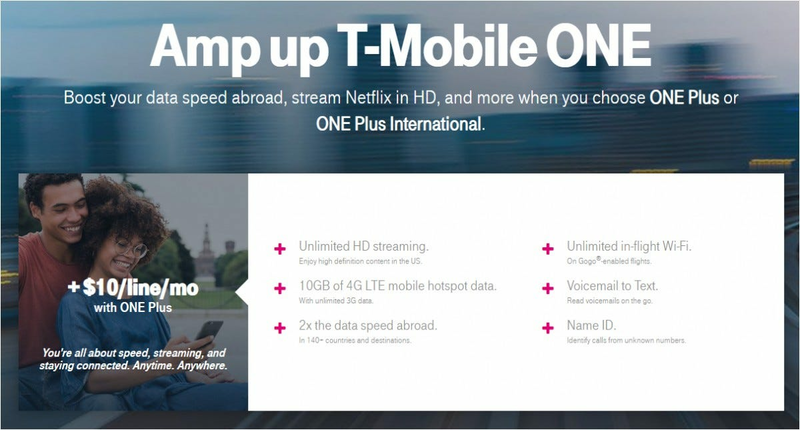 If you’re looking for a great mobile plan with few limits and a solid price, T-Mobile One is an excellent choice. 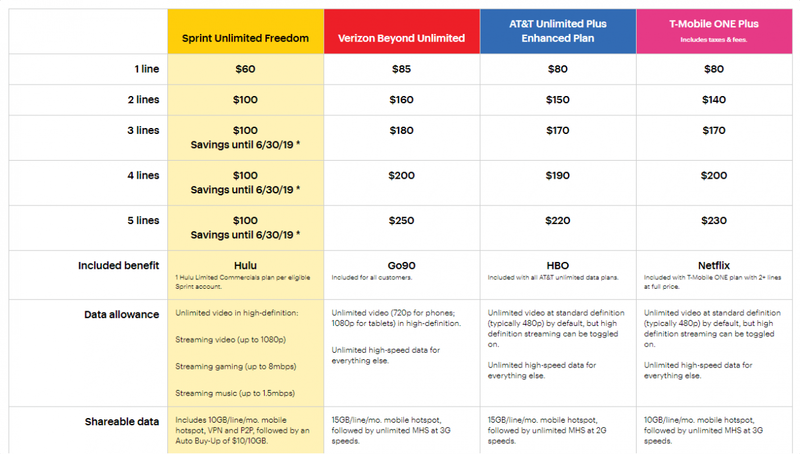 Sprint’s Unlimited Freedom plan is an absolute monster for an insane value—-at least for now. It offers unlimited data with streaming HD video (1080p), 8Mpbs for gaming, 1.5Mpbs for music, 10GB of hotspot data (per line), and Hulu access. When you compare all this to the numbers, it’s pretty wild: currently, two lines is $100. So is three, four, or even five lines—at least for the next year. Until June of 2019, you’ll pay a hundred bucks a month for up to five lines. After that, however, you’ll pay $30 a month for lines three through five, so that’s something to consider. If you have five lines, that’ll raise your bill by almost double—from $100 to $190. It’s still not terrible for five lines, but doubling your phone bill all at once can be a hard hit. If you don’t need a lot of data, there really aren’t a whole lot of options left for you. Most carriers are focusing on unlimited plans at this point, which provide a much better value than most of the data-restricted plans. That’s where companies like Ting and Project Fi stand out from the crowd. If you’re looking for the most granular option out there, Ting might be for you. It’s sort of a new school take on old school cell plans: you pay for each GB, voice minute, and text message sent. If you don’t take a lot, then there’s no need to spend a lot of money on minutes. If you never text, then why bother paying for an unlimited plan? 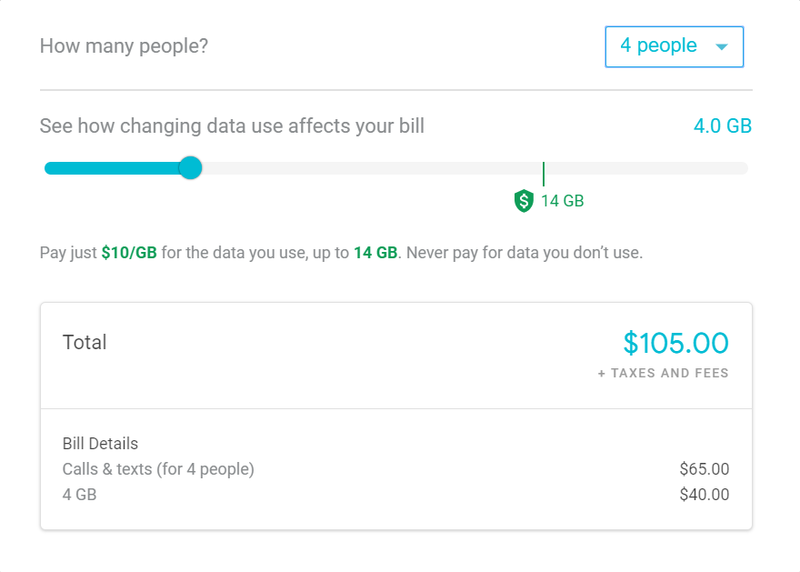 Ting’s granular approach breaks down like this: You pay a base fee of $6 per line, then for each minute, text, and MB of data you use. There’s a handy tool on Ting’s site to help you estimate your costs. Using that, we estimated four lines with 500 minutes, 4800 texts, and 2GB of shared data at just $64 a month. That’s incredible. Of course, that also means your bill will vary every month. If you talk more, you’ll pay more. Talk less, pay less. 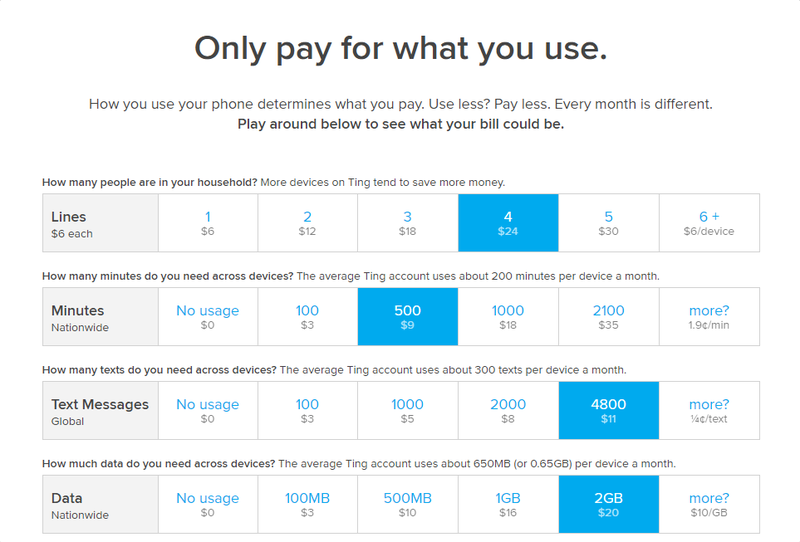 That goes for everything on a Ting plan—the less you use, the less you pay. If you’re not into Ting, Project Fi may be worth a look. 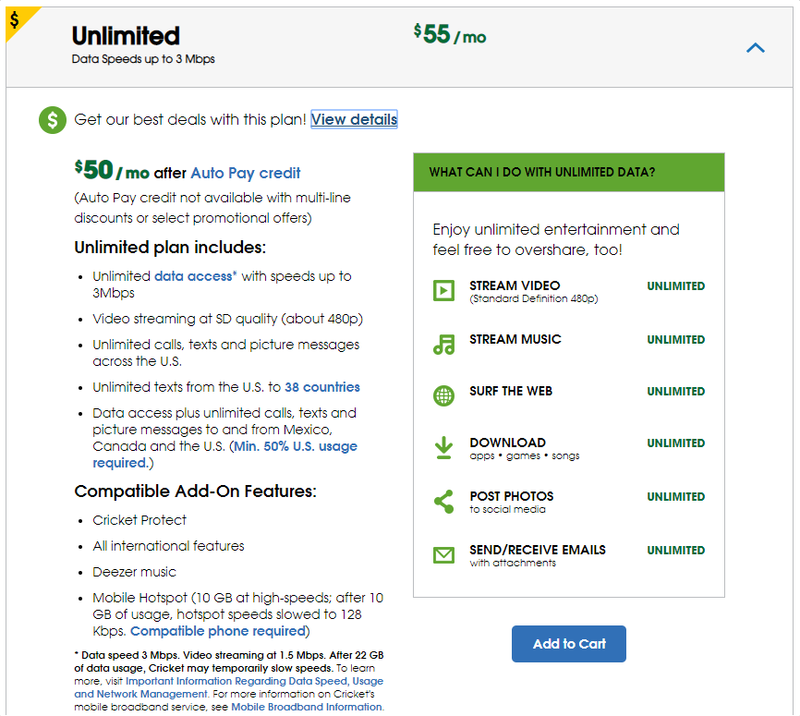 This is a very simple plan: unlimited talk and text for $20 per line, then $10 per gigabyte. You pay for what you use, and that’s it. So, if you have a family of four and only use around one gigabyte each. That’s four gigs of data total, meaning your bill is $105 plus tax. That’s not awful. The biggest drawback to Fi is that it only support a very small selection of phones—currently there are only five available. It does offer financing, though keep in mind it’s through a third-party company (Synchrony Bank), so you’ll have to jump through a credit check hoop to buy in. Here’s the thing: if you want unlimited data, Cricket’s Unlimited plan is the best. If you don’t need unlimited data but want to keep your costs down, Cricket’s Unlimited plan is also the best. At $100 with tax for four lines, it’s absolutely unprecedented. Of course, it’s throttled at 3Mbps, but that should be enough for most users. If you don’t use a lot of data, then the speed should be fine. If you use a fair amount of data, but don’t constantly use things that are data-heavy, then you probably won’t even notice that it’s only 3Mbps. If you’re looking for a new family plan and don’t mind buying your own phones outright, then this is absolutely the way to go.